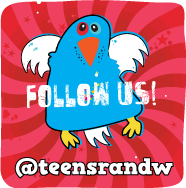 blo Teens Read and Write: Blogger Hop and Follow Friday! It's time once again for Blogger Hop and Follow Friday. 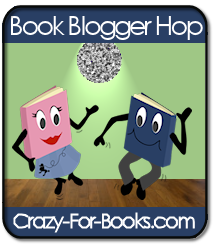 The Blogger Hop is hosted by Crazy-for-Books and Follow Friday is hosted byParajunkee's View. Their memes give bloggers and readers a chance to network, support each other and find new blogs to read & enjoy! PARAJUNKEE'S VIEW: E-book or Print? Print but we're warming up to e-books...slowly. CRAZY FOR BOOKS: We're supposed to pick our favorite post and we picked our Interview With Bree Despain (The Dark Divine and upcoming sequel The Lost Saint) because of her fantastic answers, especially regarding the Zombie Attack. Check it out - she's a riot! New follower here! Found you through the hop and Follow Friday! I love how cute your blog is!!! I'm a print person myself, there's something so wonderful about the texture of paper. Please stop by to check out my giveaway! Ditto with the ebook thing. I know what you mean about warming up to ebooks. At first, I hated them, and I'm still much more of a print gal, but I have a Nook now, so I'm starting to like ebooks more and more, especially for long trips, so I don't have to take up as much space! Just hopping by! Nice interview. I liked her answer involving Liza Minnelli and pickles. Hopping through. I love the skulls with pink bows. Very frightening LOL Hope you enjoy your weekend!! Hi! I'm a new follower hopping by! I love to read, write, and watch some of the same show you do too! 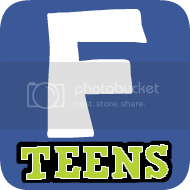 (Only I wish I were still a teenager! Does acting like one count?) Stop on by sometime!